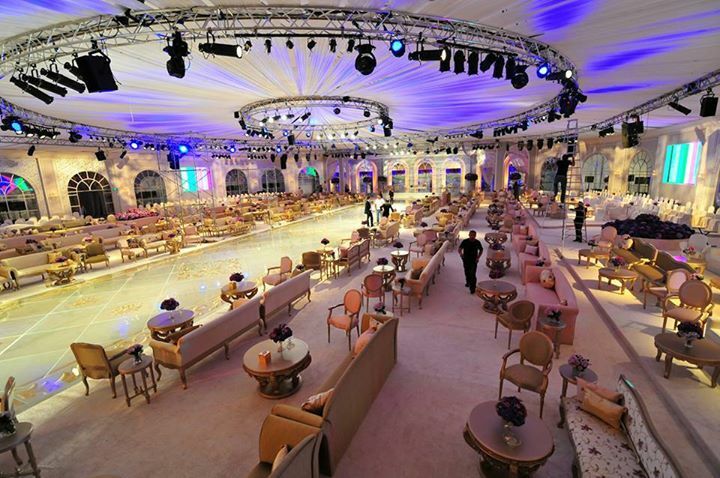 Saudi Arabia has so many beautiful wedding venues that are fit for royalty, as Saudis are known for their love of luxury and glamour. 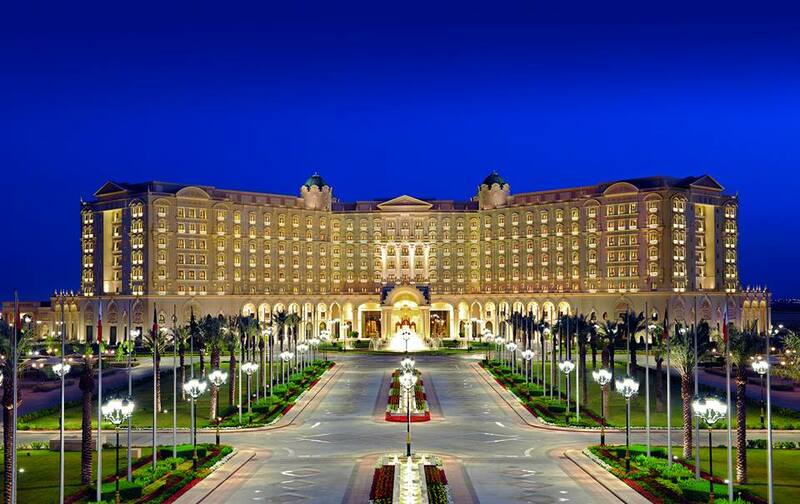 If you’re planning on getting married in Riyadh, Saudi Arabia, we have some stunning wedding venues for you to select from. Some weddings take place in private villas, while many more are held at hotels and banquet halls. Al Faisaliah Hotel, located on Olaya Street near King Fahad Road, is one of the most prestigious wedding venues in Saudi Arabia. 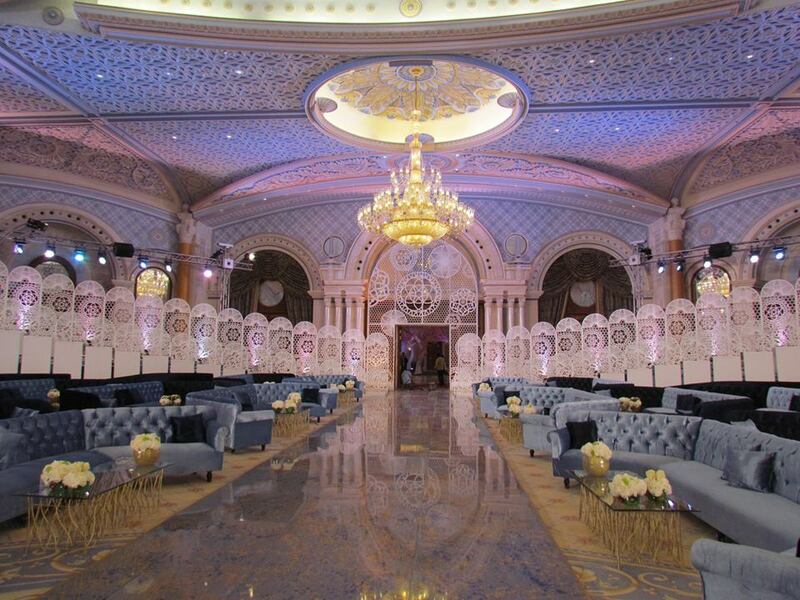 Al Faisaliah, offers a unique wedding venue that is sought after by many sophisticated Saudi brides interested in the unique combination of ancient Middle Eastern tradition and cosmopolitan sophistication. 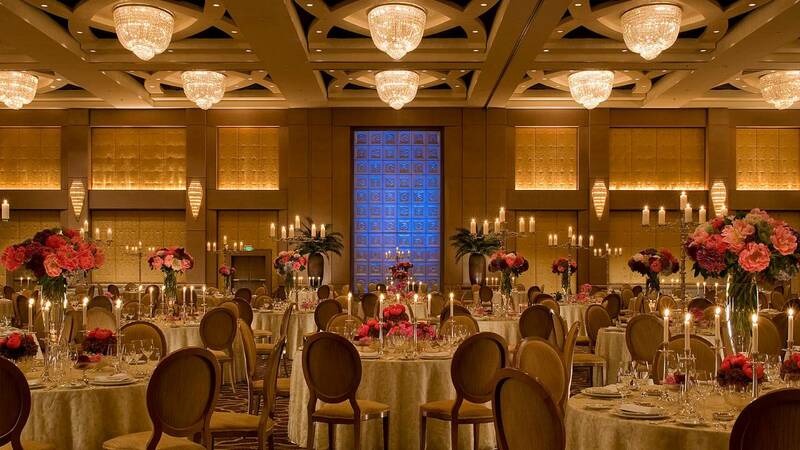 You will not be disappointed with the 2 lavish ballrooms they have, Prince Sultan Grand Hall, which can fit up to 3000 guests, and Al Omsiat Ballroom, which fits 550 wedding guests. The Hotel also features three bridal suites and a personalized wedding planning service. The team is flexible to change the wedding venues to suit the bride’s taste and requirements. Nayyara is all about perfection, Saudi brides who are looking for professional and experienced wedding experts, will find everything they need at Nayyara Ballroom. Nayyara offers 2 stunning ballrooms that are suitable for lavish weddings; Al Yamamh Hall, located at the main entrance of Nayyara, holds up to 2000 guests, while Al Tenhat Hall, situated at the eastern entrance of Nayyara, can host up to 1200 guests. Nayyara’s ballrooms are adaptable to suit the bride’s requirements and the team are committed to offering excellent banquet and catering services. The Ritz-Carlton Riyadh offers discerning Saudi brides 2 grand ballrooms, each offering its own unique color palette, and exquisite chandeliers along with mirrored wall coverings. The wedding halls host up to 2000 guests. The team at The Ritz-Carlton Riyadh is well versed in traditional celebrations, and offers uncompromising personal service and dedicated attention to detail. The Hotel also has a large bridal suite so the bride and her bridal party can prepare well for the special day. The Four Seasons Hotel in Riyadh is located high at the Kingdom Tower, one of Saudi Arabia’s iconic buildings. The hotel offers an ideal setting for weddings; its Kingdom Ballroom can seat up to 2000 guests in banquet style, and is connected directly to a bridal suite. The Kingdom Ballroom has its own private entrance directly from the street-side, for easier access.